A Lebanese construction magnate has built a museum for his collection of art and antiquities on Lebanon’s coast in just eight months. Jawad Adra hopes his free-entry Nabu Museum, named after the Mesopotamian god of literacy, with 1,200 sq. m of exhibition space over two floors and a planned rooftop restaurant, may draw 200 visitors a day—more, he says, than major institutions in Beirut. 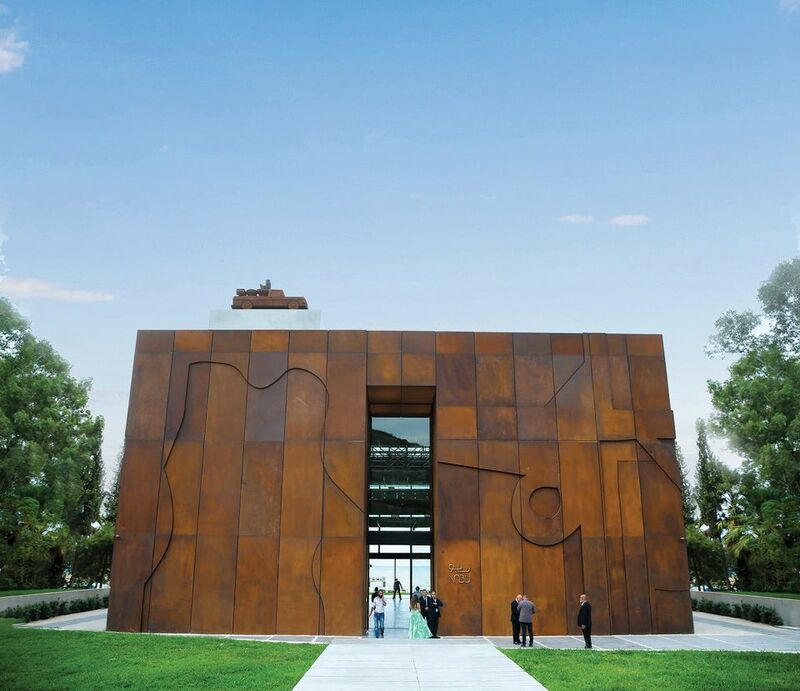 Designed by the Iraqi sculptor Dia Azzawi, the cuboid building of weathered corten steel opened in late September. The museum is located in El Heri, a seaside village an hour’s drive north of the capital and 20 minutes from Lebanon’s second city of Tripoli. Adra’s 2,000-strong collection ranges from ancient Palmyran funerary busts, Roman statuary and Sumerian and Babylonian cuneiform tablets, to Modern and contemporary works by around 20 artists. 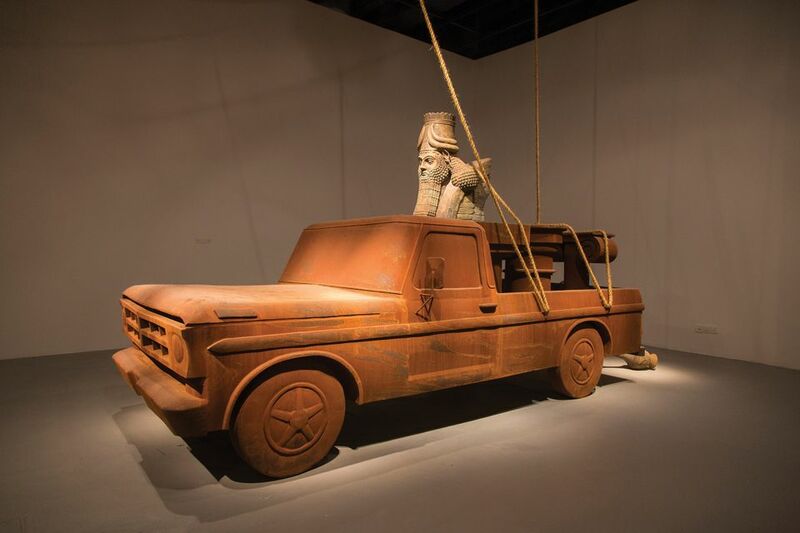 Highlights include the Iraqi-Canadian Mahmoud Obaidi’s Ford 71 installation, a rusted pick-up truck carrying an Assyrian-style bearded figure; Obaidi also worked on the museum’s design. Adra says the Nabu Museum represents a “new breed” in Lebanon, in combining antiquities with contemporary art. The building was built in haste on land he has owned since 2008 because he was “getting old” at almost 65, he says, and wanted to highlight “positive developments” in a region more commonly associated with extremism and conflict.